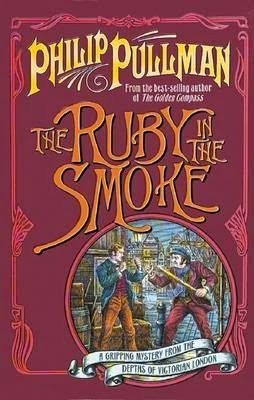 This Choose Your Own Edition comes to you via my thus far failed attempts to foist a copy of The Ruby in the Smoke off on my friend Beth. 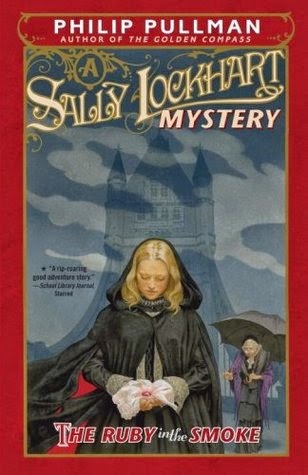 The Sally Lockhart series is my favorite of Pullman's work, and I am just so eager for her to read that first incomparable line. My own copy is currently on loan in a different city and won't be returning soon. I did run across an older library copy for sale with a somewhat dismaying pale blue 90s cover and naturally turned my nose up at it (I did go back later but it was gone, naturally). Full disclosure: I am such a snob sometimes about the cover that accompanies someone's first impression of a book I love. Honestly, someone needs to beat it out of me. It's the reason I own three editions of Sunshine and yet only ever loan out one (my favorite first edition), so that new readers come into the experience with the right (IMHO) packaging. SIGH. In any event, with no copies ready to hand, I've been browsing editions online and require your input. I actually like all three of these, though I am drooling rather most over that one on the left—a gorgeous new UK 30th anniversary edition. They've done the whole series, of course, and I . . . well, I need them all. My own copies are beloved and mismatched and the only cover of mine I really love is the first one. Because the Sally on it is Sally. And because it's smoky and threatening and atmospheric in just the right way. But I do like the sort of Dickensian Scholastic cover in the middle above (out of print, but fairly cheaply available), as well as the font and the red framing of the one on the right. And so. Which one would you gift had you the spare cash and the inclination? I really like the middle one - it has a kind of steampunk feel to it which would make me want to read it IMMEDIATELY. Hey Melle! Unfortunately, it is only available in the UK. But! You can order it with free worldwide shipping from The Book Depository. 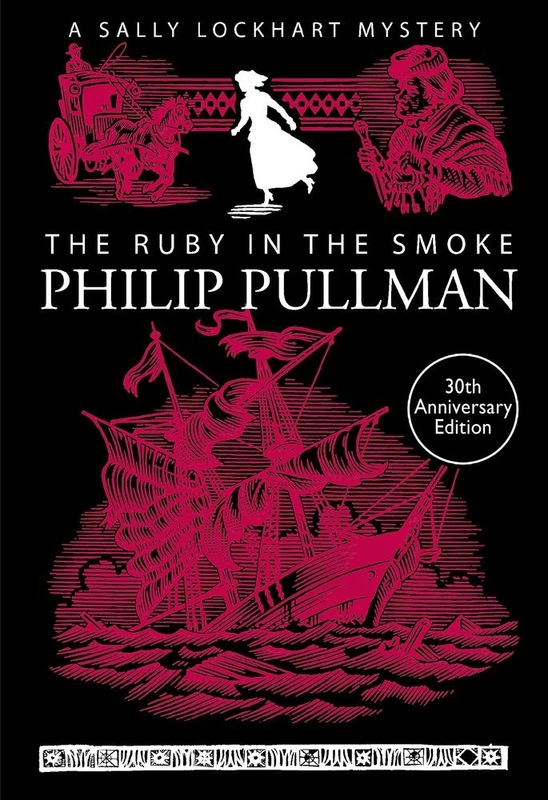 Here's the link: http://www.bookdepository.com/Ruby-Smoke-Philip-Pullman/9781407154190. The best! I'm so glad someone else read and loved that edition, too. Oh goodness, I can see why you're having a difficult time deciding! The middle cover has a sort of classic feel to it, but I love the black and pink contrast on the first. Yeah. Yeah . . . so pretty. The contrast is so great, particularly as it captures a bit of the darkness that really makes up a huge quantity of this book and series. I love that 30th edition cover. It is incredibly striking. Not just me then! Phew. Well, the matching thing is a serious issue. It does bother me when my copies switch editions mid-series. I'm still pining over the Australian edition of Marillier's The Dark Mirror. I have the second two books in the series in the Aussie versions and they're so much lovelier than the US ones. Being able to peek inside these would totally help me decide! If only. It really is. And put it together with the other two in the series in the same editions and they're just perfect. Absolutely my favorite Pullman books, and some of my most beloved child books. Unfortunately, I think mine have the light blue 90s cover you described... well all except the last one which is mismatched and drives me crazy. I like all three of these covers better than mine, but particularly that first one. It might be time for Sally to get an upgrade in my library!